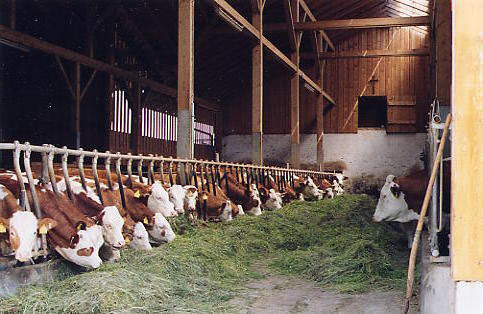 My home town for two years. 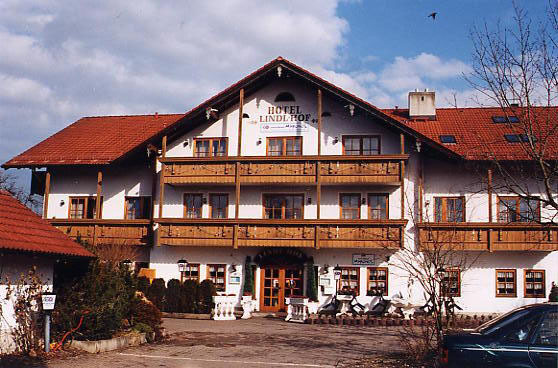 The Hotel Lindl-Hof, where I spent my first three months, before an apartment was available for me. 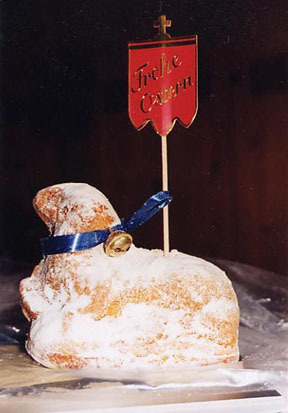 The owners were very hospitable; they even presented me with an Easter lamb on Easter -- a traditional sweet. 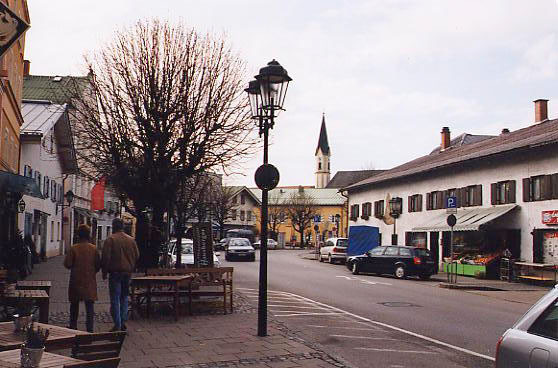 One of the main streets in town. The center of town, Marienplatz. 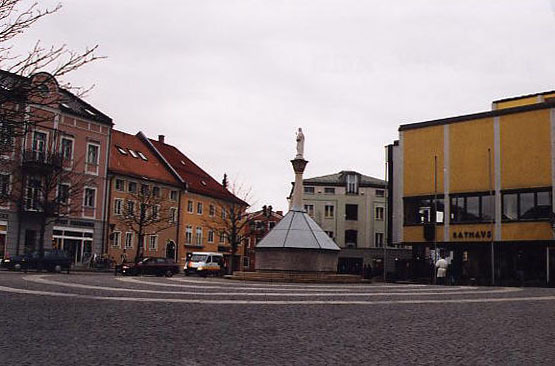 The town hall (Rathaus) is the square yellow building on the right. 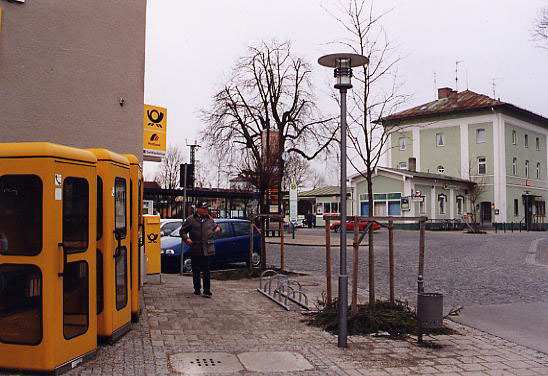 The post office (left) and train station (right). 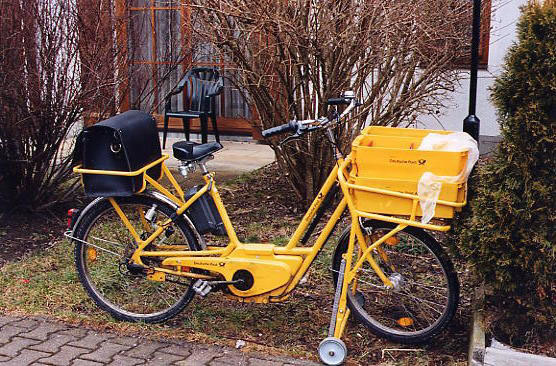 Mail was mostly delivered by bike. These cool contraptions could be seen all over town. 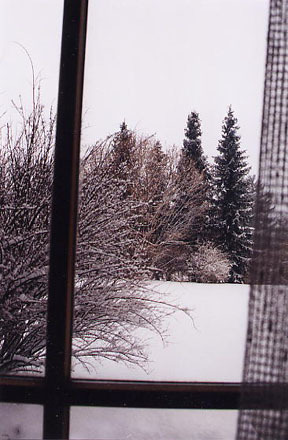 I arrived just before the U.S. invaded Iraq. There was plenty of opposition in the area. 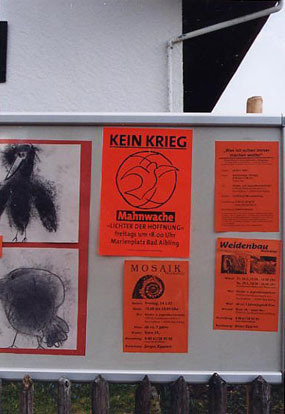 "Kein Krieg" = "No War"
Just outside the compact center of Bad Aibling are farms, many of them raising beef cattle. 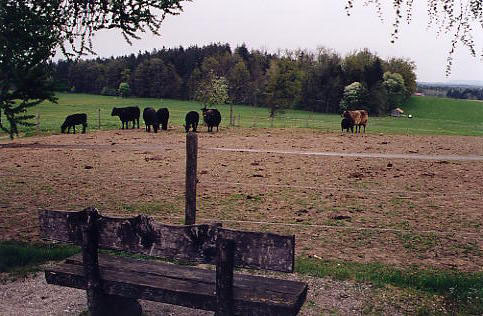 Seeing cows in a field is not an uncommon sight.